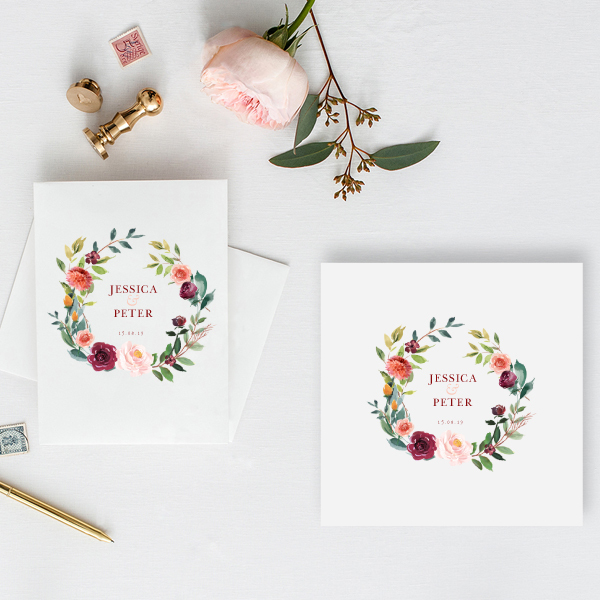 If you are looking for a wedding invitation design that is subtle but elegant, something that is traditional but fresh and most importantly in keeping with the details of your day, my floral wedding invitations are the perfect solution. 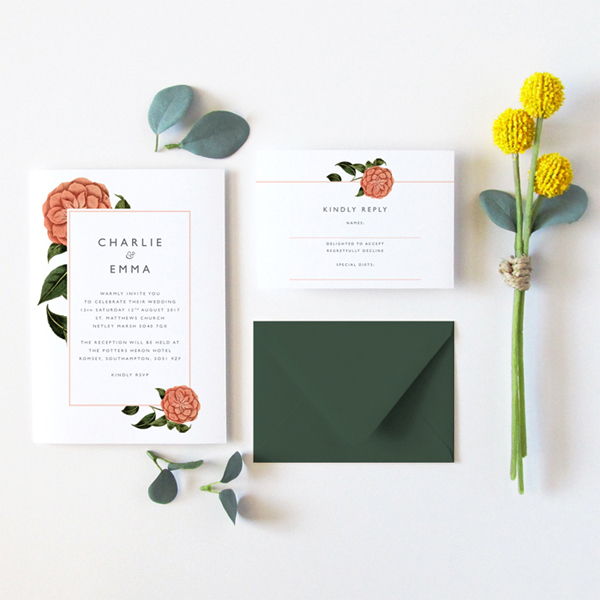 They are a fantastic way to send out a personalised wedding invite by replicating the flowers that will be used at the ceremony or having the same colour theme or even simply choosing your favourite or sentimental flower. 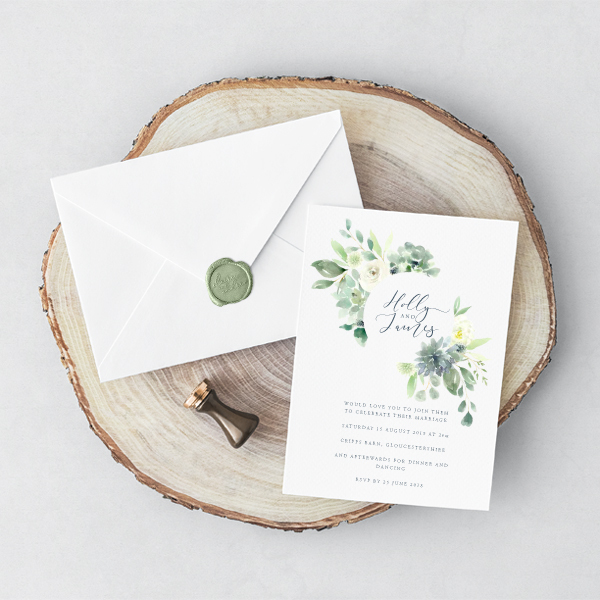 Floral invitations offer so much variety in that you could go classic with a timeless botanical drawing or beautifully soft but fresh with a watercolour wreath. 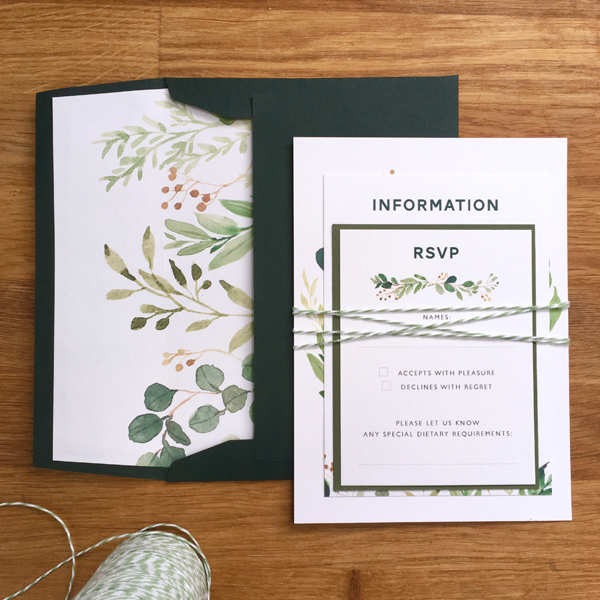 Wedding invitations are your guest’s first insight into your big day and therefore of course, you want them to be perfect. 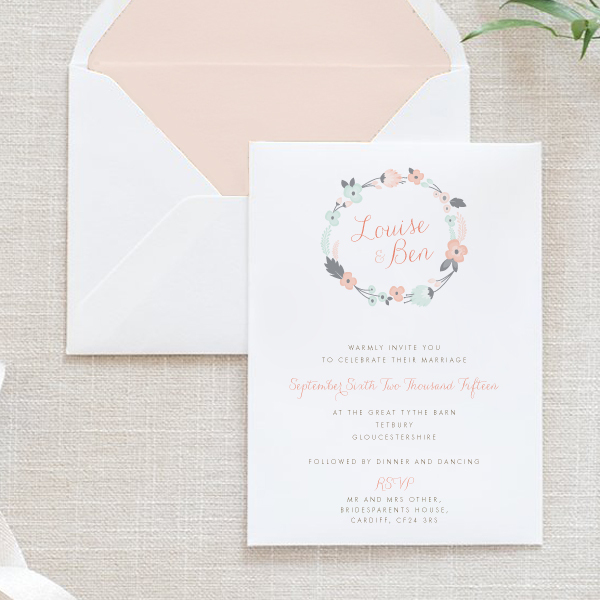 My high quality designs are guaranteed to put a smile on the invitee’s face. 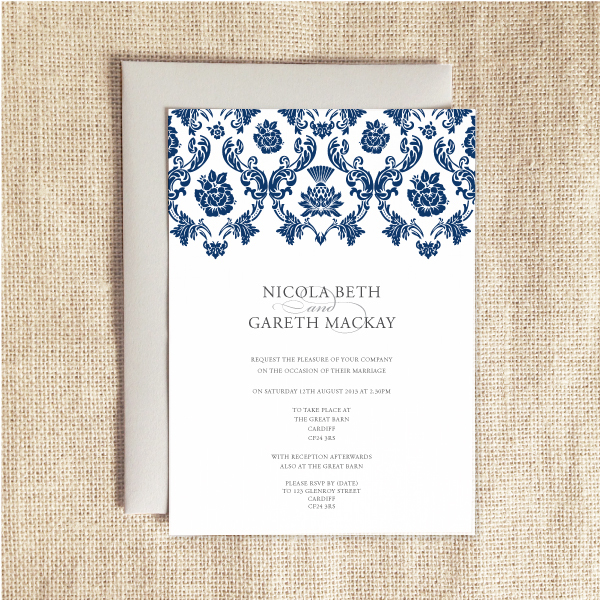 I pride myself on a highly personalised service to make choosing your wedding invitations as stress free as possible for you. 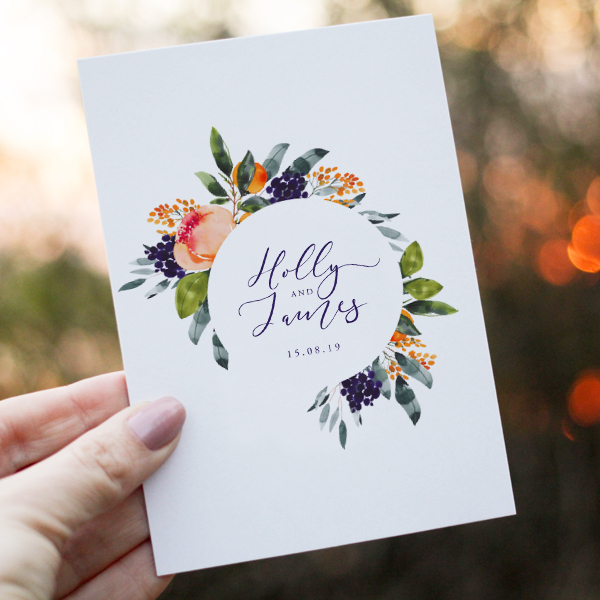 An questions, just ask! 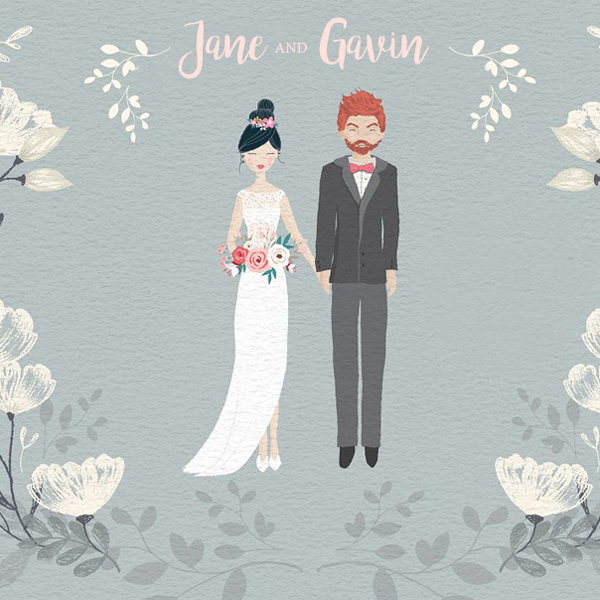 Our friendly, professional advisors are always at hand to help you. 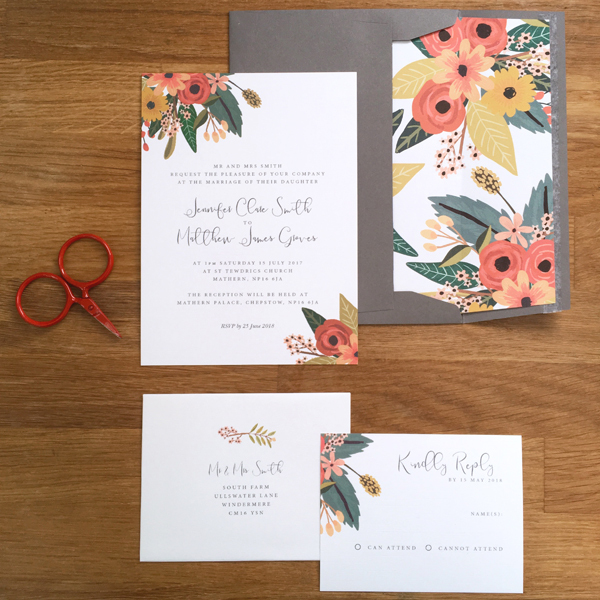 It is easy as choosing the flower design you would like on your wedding invitations. 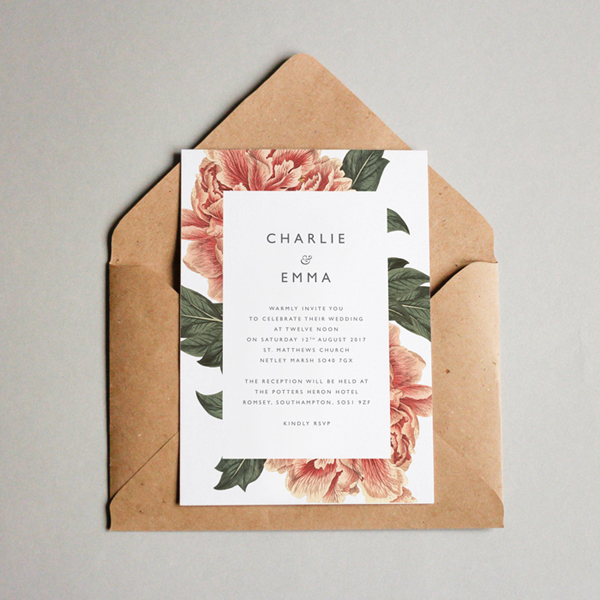 Selecting the right colour theme, deciding the font and colour of the envelope then leave the rest to us. 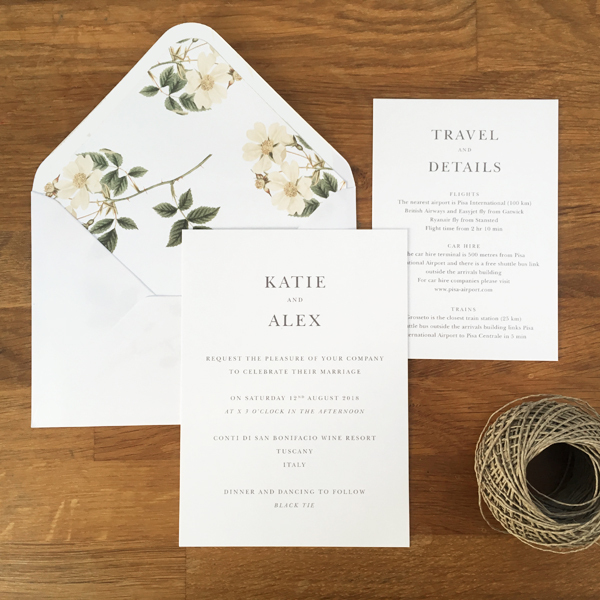 Your wedding invitations will be produced to the highest quality and we will also deliver them for you – one less thing to worry about! 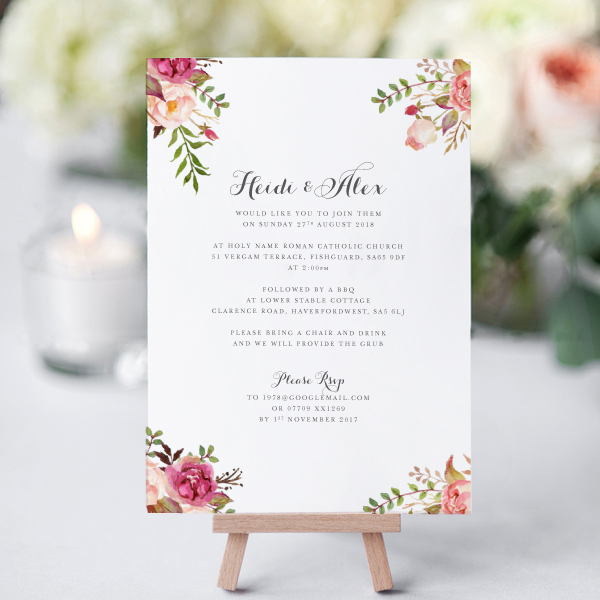 To find out more information about our beautiful flower wedding invitations please call 07737 361 168 or email ruth@oliveweddings.co.uk today.